In this post we are going to discuss about extracting stack-trace/call stack information in NodeJS using traceback. As a developer is always a boon if you can reduce your development time or more precisely debugging time. 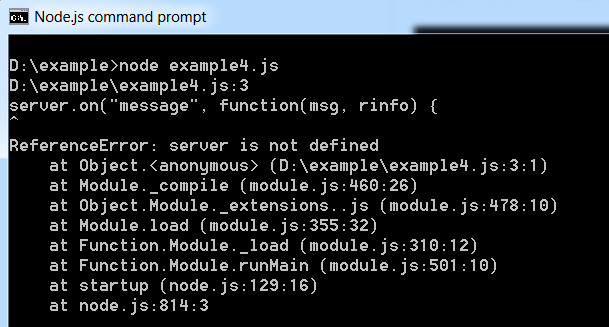 NodeJS has a number of excellent feature, but it is not as good in terms of debugging. Suppose we have a following code snippet where I forgot to initialize the server ( See commented code). This code will give us the error server is not defined and actually point us to the actual location, but the problem is it is the string. What if you want to send a report of the error via email or you need to write that in a file. Then traceback will come to our rescue. 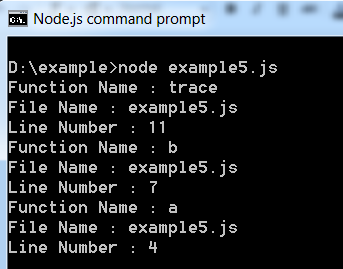 Traceback is available for installation from NPM using npm install traceback. Simply calling the traceback() will give you the stack, with the current function in position 0. You can get the function name, path name, file name, line number, column number, byte position etc. Share your experience with traceback and how you would like to use it in your application. Please Like and Share the Blog, if you find it interesting and helpful.